For the 2019 Drivers Registration Form – CLICK HERE! So, you want to come racing? There is no better place to start in the clubs most diverse championship the MG Cup! 2019 with be the 31st year of the MG Cup which was set up by club racers for club racers offering value and close racing, this ethos has stayed with the championship and today MG Cup is proud to offer such a diverse grip of MG / Rover cars to one of the most established club racing championships in the UK. With a simple class structure for standard, modified and full race cars and clear regulations designed to keep costs to a minimum, the series is suitable for both novice and experienced drivers. No other championship offers close regulations enabling RWD/FWD/NASP/TURBO cars to race competitively within 100th of a second of each other. So, what are you waiting for come and join the grid in 2019! The MG Cup is a true celebration all MG Rover production cars. Offering some of the best, close, competitive and clean racing in the UK. 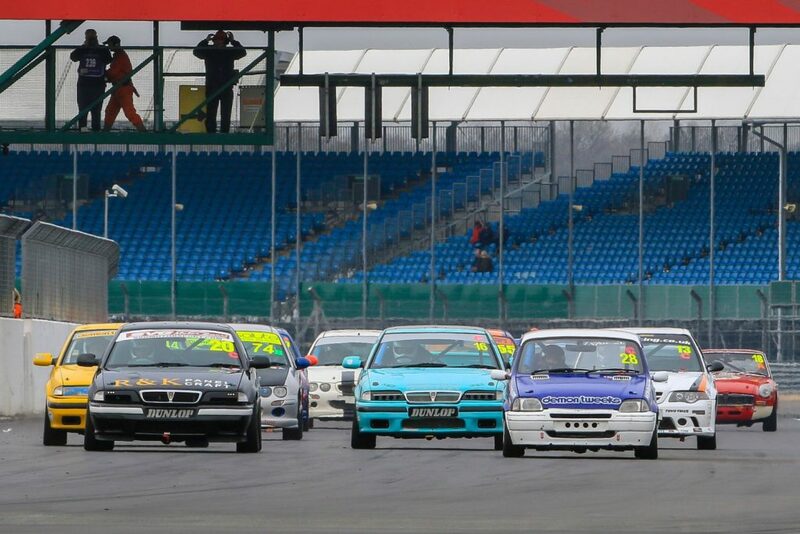 It is truly the only one make club championship, offering high quality close racing with high driving standards. 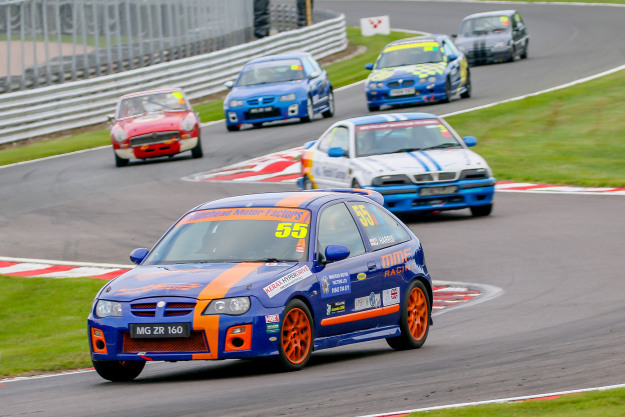 The championship is based on 6 double header races with 10 rounds counting from 12 rounds racing at some of the UK finest circuits organised by the MG Car Club. 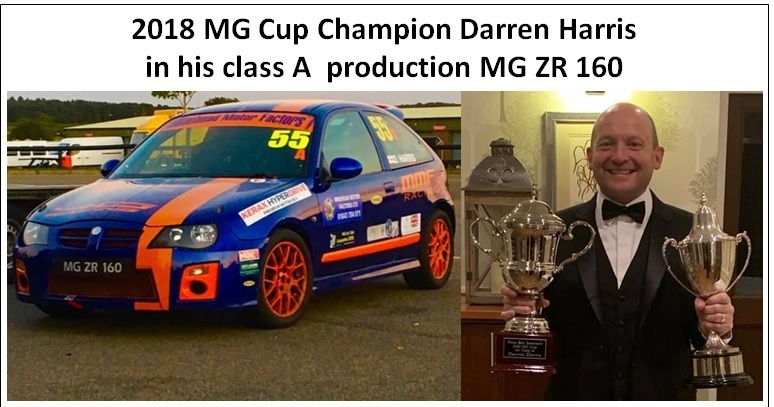 2018 saw the championship secured by Darren Harris in his Class A ZR 160 race car. Any car from any class can win the MG Cup. 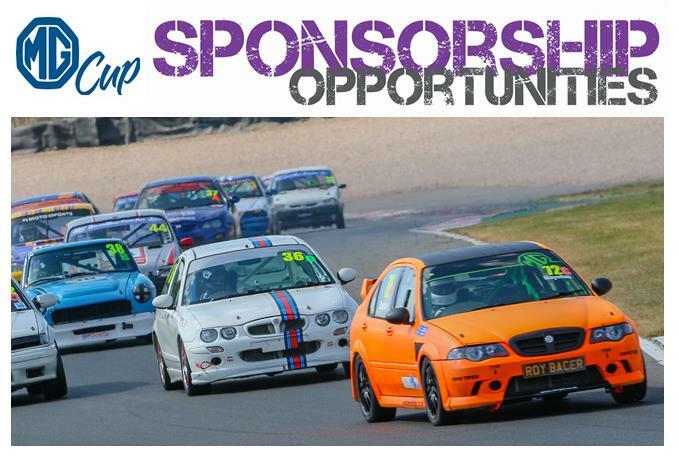 Would you company like exposure at MG Car club race meetings then look no further?